The Gran Turismo’s storied past helps build an aura around every car that wears the badge as an appendage. It comes with the promise of ‘fast’ design and an even faster performance, with no compromise on space. Unlike ‘Weekends’ or station-wagons with large, vertical hatch-doors that make the owners seem old, Gran Turismos or GTs (literally meaning Grand Touring) put their owners in good light, making them seem young and stylish.German luxury car maker BMW has already stuck its finger into the pie with the 5GT. 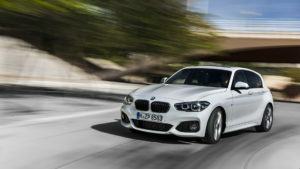 Now, with an eye on emerging markets and on European buyers with tightened wallets, BMW is introducing the 3 Series GT. The changes made to the exterior design of this latest iteration of the 3 Series GT are minimal. They are in line with BMW’s current design language and similar to what we have already seen on the 3 Series facelift. Up front, the headlamps have been transformed into full LED units with LED daytime running lights. Bumpers on both the front and the rear end have been redesigned in this facelifted car. The detailing on the tail lamps at the rear is also similar to what we have seen on the new 3 Series – sharp and striking. 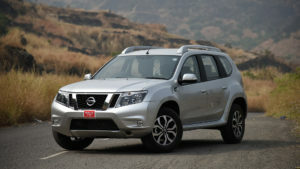 The facelifted vehicle still looks elegant and rides on new 18-inch alloy wheels. Open the frameless doors and you will first appreciate how they give the car a very sporty feel. They make you feel like this is a sports car (when the windows are down). The cabin is a familiar BMW layout, in fact, there is nothing new here over the regular 3-Series sedan. You get a dual-tone dashboard with wood inserts around the centre console, a popped out iDrive screen (without the new iDrive touchpad to control it), the same 3-spoke steering wheel we see on almost every BMW and the same nice to hold gear selector. There aren’t many cubbyholes inside the cabin although the glovebox and door pockets do suffice to keep stuff. The BMW 3-Series isn’t a car you would normally have you chauffeur drive while you sit in the rear bench and work. That is because, the 3-Series isn’t the best of cars for a good rear seat experience. This is where the 3GT comes into its own. The extended wheelbase yields a lot of cabin space, which along with big windows and a sunroof that extends till the rear, gives the car an excellent rear seat experience. The seats themselves are now higher and offer excellent support too. In fact, the 3-Series GT offers one of the best rear seat experience at this price point. Be it legroom, headroom or kneeroom, the 3-Series Gran Turismo has all in plenty. What further makes the cabin such a good place to be in is the airy feel offered by the twin sunroofs, the front one opens. The fit and finish is typical BMW, well put-together on all fronts and boasting of high quality. The boot space is a massive 500-litres and since the tail gate is one piece with the rear windscreen, the loading area is huge. BMW has given the 3GT a space saver tyre which is a good move but that also robs away space from the boot as the spare wheel is kept on the floor, not under it. There is an electric boot close button which is a practical touch as the trunk is quite heavy. Under the hood, the GT’s engine lineup mimics the standard 3 Series’ and gains three new gasoline units. 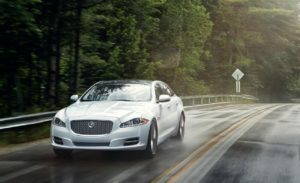 The entry-level model uses a turbocharged, 2.0-liter four-pot rated at 184 horsepower, while the mid-level 330i gets a similar four-banger with 252 horses on tap. As for the range-topping gasoline model, the 340i with the 326-horsepower 3.0-liter inline-six replaces the previous 335i. Moving over to diesel models, the 3 Series GT comes in no fewer than five flavors. There’s the base 318d with 150 horses, the 320d with 190 horsepower, and the 325d with 224 horses. The 330d cranks out 258 horsepower, while the range-topping 335d comes with 313 horses on tap. All powerplants are 2.0-liter four-cylinders. xDrive AWD is available on most trims, while transmission choices include the six-speed manual transmission and the eight-speed automatic gearbox. The former is standard on the 320i, 318d, and 320d, while the rest are equipped with the Steptronic automatic. Both gearboxes have been updated for quicker shifting and improved fuel efficiency. The auto start-stop function, Brake Energy Regeneration, on-demand operation of ancillary units, and the ECO PRO mode also help the facelifted BMW 3 Series Gran Turismo return better fuel economy. This is a BMW, so it’s quite normal for it to drive extremely well. The BMW 3-Series GT handles beautifully, the steering is feedback rich and there is only a hint of the increased height affecting it, albeit minutely. The insulation is good too, wind and tyre noise is cut out for the most part. It’s really the fantastic body control which makes the 3GT such a hoot to drive. The car is accurate with turn-ins, remains glued to its line at all speeds and makes you feel confident behind the wheel with its dynamic ability. There is an Active Rear Spoiler (first BMW model to have it) which deploys at 110 km/hr and goes back down once you slow down below 70 km/hr, it helps in generating additional lift. There is no button to activate the spoiler. The 3GT also uses a physical handbrake and not an electric unit, so you know the drift. There are three driving modes on offer – Eco Pro, Comfort and Sport, other than changing the weight on the wheel, it also alters engine and gearbox response time. What is pleasantly surprising is the ride quality. Most BMWs offer a harsh ride but not the 3-Series Gran Turismo. The ride quality is extremely compliant for our roads, the vehicle absorbs all the bad stuff our tarmac has to offer, only letting you know of the large potholes. In fact, the 3-Series GT in no way feels stiff and that lends it a lot of comfort. BMW isn’t using run flats on this car which has a part to play with the improvements to the ride quality. Brakes offer tremendous stopping juice and the 3-Series GT stops in its line in no time. Every 2017 BMW 3 Series GT comes standard with antilock brakes, traction and stability control, front side airbags, side curtain airbags and front knee airbags. We love the 3 GT, as it is spacious and comfortable. The drivability is good and the dynamics are decent too. Now, the only question that rises is if it is worth the price? The answer is no. If it was a CKD, the price would have been lower and for the price it doesn’t offer the features. We believe BMW should take the CKD route than the CBU for the 3 Gran Turismo to capitalise this market for those looking for a something with a space of a SUV, but the comfort and convenience of a sedan. The pundits state that the Indian market isn’t feasible for Gran Turismos or the estate wagons. That is one reason why BMW has introduced this as a CBU, as a CKD it is a great product to own. 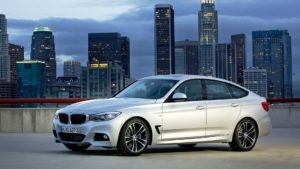 BMW 3 Series Gran Turismo Ex Showroom Price in New Delhi ranges from 45,80,000/- (3 Series Gran Turismo Luxury Line) to 46,70,000/- (3 Series Gran Turismo 330i) .BMW 3 Series Gran Turismo has 2 Variants of Diesel are available in India. BMW 3 Series Gran Turismo comes in 5 colours, namely Sparkling Brown,Alpine White (non-metallic),Glacier Silver,Black Sapphire,Imperial Blue Brilliant Effect. The Tata Indica has no doubt shaped the Indian car market by being a product with many firsts. It was the first Indian car to have AC and power windows as standard, features which were found only on sedans. The Indica has made the common man consider cars as it was the only hatchback in its hay days to feature a diesel engine, thereby making sense in running costs. 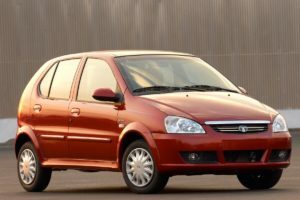 Now 15-years down the line, Tata Motors continues to sell the same Indica, which has been updated several times. What doesn’t change though is the shape. The Tata Indica has evolved but it’s no Porsche 911 that it won’t look dated. The Indica even with frequent make ups has started to show its age. However the Indian automobile giant continues to sell it by calling it the “new Indica” every time it facelifts it. 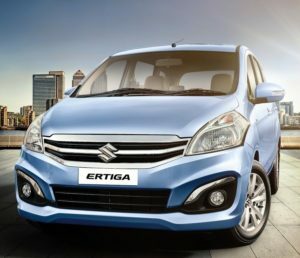 Does the Tata Indica make sense when you can get more modern vehicles at this price? We take a quick spin to answer that very question. The Indica is not a car which will win hearts for its looks. The Italians who are normally well known for the things they design didn’t seem to have done justice with this hatch. It looks very dated and bland. 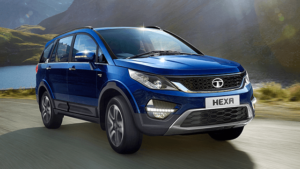 The design has not seen any substantial change since the time it was launched in 1998.One thing that we surely want Tata Motors to do is a complete makeover instead of just changing a few bits. So what differentiates this Indica from the earlier models? The Spanish Tan is a new addition which indeed looks better if not the best. The radiator grille has a bright coated finish which looks contrasting with the new shade The front face has been retained from the earlier generation models. The headlight assembly has turn indicators in them. The side profile is unmistakably same. Nothing has been changed in 15 years which doesn’t go in Indica’s favor. The ORVMs are equipped with turn indicators in them but then it is not a modern touch as many other models have it.The rear profile gets re-touched tail lamps and a subtle chrome garnish on the tail gate. The exterior profile fails to create any enthusiasm and looks very dated. The interior of Tata Indica eV2 is tastefully done and definitely impresses even in a cursory glance. Unlike other hatchbacks, it is loaded with some incredible features. The rack and pinion type steering wheel has four spokes and the instrument panel is very chic. 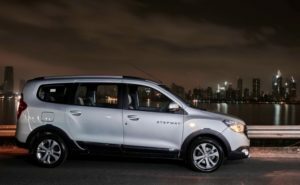 Adding to passenger convenience are features like reading lamps, a cabin lamp that is operatable from all four doors, a lamp in the boot, a utility tray with a coin holder and a parcel shelf. The horn pad for the steering wheel, moulded roof lining, internal antenna and the door trims are other likeable features of this hatch. The dashboard is the same heritage Indica type and the music system is also the unchanged one with bluetooth connectivity and an aux-in port. Tata Indica eV2 can accommodate five passengers and the comfortable seating is lined with soft fabric. The Air Conditioning unit is very effective and makes the ride very comfortable. The electronic instrument cluster has a digital odometer, 2 trip meters with light intensity control, a tachometer and a digital clock. The painted floor Console comes with the provision for Mobile Charger / Cigarette Lighter. The boot space of 220 L is adequate and adds to the convenience value of this car. The headroom offered is quite significant with 960 mm in the front and 940 mm at the rear. Legroom available ranges from 915 mm to 1080 mm; and the knee room available ranges between 640 mm and 750 mm. Taller passengers need not worry as India offers a generous shoulder room of 1335 mm. The Tata Indica has two diesel engines, petrol and also a LPG version of the petrol motor. The 1.2-litre petrol develops 65PS@5200 rpm with a peak torque of 100Nm@2600rpm. 100kmph is reached in under 17seconds with a top speed of 155kmph and an ARAI claimed fuel efficiency of 16.54kmpl. Despite the mediocre performance the engine feels strong enough on the highway and with decent drivability in urban conditions. Mid range power delivery is good but the engine starts to show its weakness over 4000rpm. The 1.4-litre diesel engine produces 54PS@5500rpm and 85PS@2250rpm. Refinement is poor and it delivers 17.88kmpl as claimed by ARAI. The 1.3-litre common rail diesel engine is sourced from Fiat and develops70PS@4000rpm and 140Nm between1800 to 3000rpm. This engine feels far more refined but isn’t as quick as on the Maruti Suzuki Swift. All engines use a five speed manual gearbox which feels rubbery and offers a vague response. In the city, there is no lack of poke. The Indica trundles through the traffic in third at 1500 rpm without a fuss. Downshifts are no longer a bother as the gearshift quality has been upped with each version of the Indica. The gearshift feels smooth, though some of the sogginess remains. Sudden overtaking manoeuvres can also be attempted and executed with gusto. However, the handling remains wishy-washy; the rear slides out at the hint of a slalom style manoeuvre and the steering does little to inspire confidence in pushing the car hard. The steering is well damped at low speeds, but lacks feedback and remains a little sluggish at high speeds. 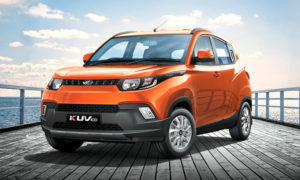 Tata Motors’ attempted part remedy for the weak-kneed handling are lower profile 165/60 R13 Goodyear GPS2’s. The low-profile tyres limit the car’s rolling tendency by a certain degree. The Airbags and ABS are now available in the Aura + segment of cars. The only thing that the Indica misses dearly are the alloy wheels. As can be seen, not much has changed and the Tata Indica continues to soldier on in the same manner as it used to last year. Tata Motors has recovered the development and fixed costs) of the Indica long time back so it makes a lot of financial sense to keep the car going in its current form. Sure the Indica makes a lot of sense for taxi operators with its generous cabin, attractive price and high fuel economy. But if the company wants to lure private buyers, the Indica needs a bigger update, a more substantial one which will help it stand strong in front of more established and better engineered products. Tata Indica Ex Showroom Price in New Delhi ranges from 4,99,410/- (Indica LS BS IV) to 5,46,849/- (Indica LX BS IV) .Tata Indica has 2 Variants of Diesel are available in India. Tata Indica comes in 4 colours, namely Spanish Tan,Jet Silver,Porcelain White,Sea Blue. bumper which now sits in front of a honeycomb grille. carried over from the previous vehicle. apart from the new vertically stacked indicators and the wheel design. also given it slightly more sporty credentials. thigh support and the squarish roofline makes for plenty of headroom. the rear-left passenger can easily slide it forward for more legroom. both have eight-way power adjustability. cheap-looking, but that’s the only serious complaint we can level at this cabin. airbags, this Camry doesn’t get a sunroof or a reverse camera. in capacity from the 2.2-litre engine of the preceding model. twin peaks it put out 112kW (150 horsepower) and 218Nm of torque. respectively, giving it more zip and extra smoothness. automatic, so there aren’t many cars around with the manual. can also run on E10 ethanol-blend fuel. to 100 kmph in just about 9.3 seconds of start. e2o then, the Camry Hybrid is certainly a car that deserves much more. 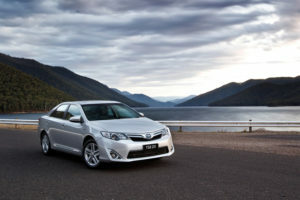 hybrid cars, cars like the Camry Hybrid will continue to suffer. Toyota Camry Ex Showroom Price in New Delhi ranges from 28,69,100/- (Camry 2.5 AT) to 37,22,500/- (Camry Hybrid) .Toyota Camry has 2 Variants of Petrol are available in India. Toyota Camry comes in 7 colours, namely Dark Brown Mica Metallic,Silver Metallic,White Pearl Crystal Shine,Grey Metallic,True Blue Mica Metallic,Attitude Black,Greyish Blue Mica Metallic. innovators have a trick up their sleeve? integrating foglamps and some chrome accents as well. is a good touch but the keyhole above it looks out of place and ugly. bright sunlight is an issue. the passengers as the Lodgy literally glides over them. three trim variants with both the engine rating options. Lodgy would be fully loaded with people and luggage. hardly any lift, weave or nervousness no matter how hard you push it. assist and rear parking camera with sensors.